Brooklyn’s Gowanus Canal is a Superfunded mess, filled with contaminants and often overflowing with sewage. But a new plan from the Environmental Protection Agency (EPA) says that with proper dredging to remove contaminants and a mere $500 million, the former industrial hub could potentially become the borough’s inland waterfront. 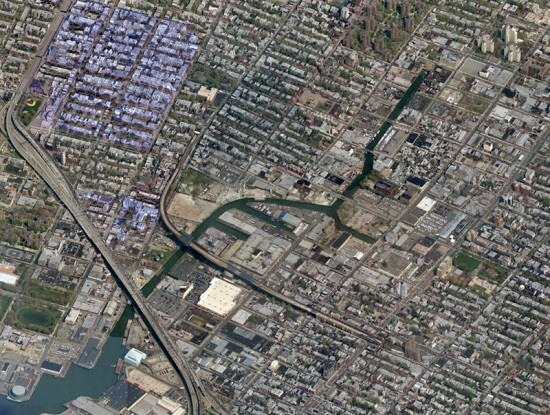 The EPA proposes targeting the canal cleanup in three phases to minimize disruption to the neighborhood. According to the NY Times Green blog, “For the first two, more heavily contaminated segments, the agency plans to dredge or ‘stabilize’ the sediment in some areas by mixing it with concrete or a similar material and then capping it with layers of clay, sand and gravel. The third segment would be dredged and capped with sand.” Additional improvements to the city’s sewer outflows at the canal could drastically improve sewage discharges by up to 74 percent. Two public meetings have been scheduled for late January to discuss the plans.